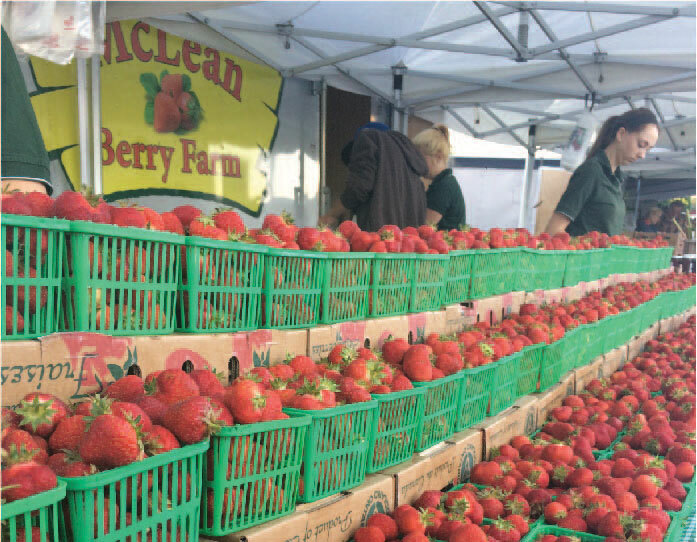 We’ve been attending farmers markets throughout Peterborough County and the surrounding area for almost 30 years – we love the community and atmosphere that is created at farmers markets when we join with our follow farmers, chefs and artisans and we’re able to bring our farm fresh produce into surrounding local cities! Over the years we’ve grown from attending one farmers’ market to now bringing our farms fresh produce to six farmers markets – all within an 100km radius. We believe that farmers’ markets were created for everyone to bring what they grow to market and come together to be a well rounded shopping experience. We know that we can’t grow everything – there’s just not enough hours in the day…so we focus on growing a variety of crops for our customers while our farmers market friends are able to do the same and we can all come together and offer our customers a well rounded shopping experience at farmers’ markets! That’s why we’re MyPick certified and have been since the inception of the program – to verify with an independent source that we grow what we say we’ve grown and that everything you buy from us at farmers market comes directly from our farms’ fields to you! Louis Street Parking Lot, off Charlotte St.
CITI-CENTRE COURTYARD @ 307 AYLMER ST. N.
Head lake Park, Highland + York St.